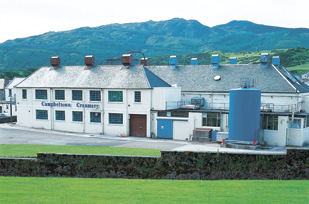 Campbeltown Creamery,which makes Mull of Kintyre Cheddar Cheese, operate on the site of an old malt whisky distillery, and has been making cheese for over 100 years. Up until the late 1970s, they also made sweet condensed milk and skimmed milk powder, but then they modernised their cheese-making equipment and upped their production of their ever popular cheeses. 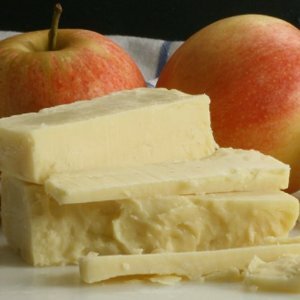 Until then, their smaller production meant their products were only sold in in a few highly specialised delicatessen-type shops, where their popularity continued to grow as more and more people came to enjoy the unique and delicious quality of their mature cheddar cheeses. During the 80s they secured a contract with Tesco, the world's third largest supermarket chain after Walmart and French-owned Carrefour. 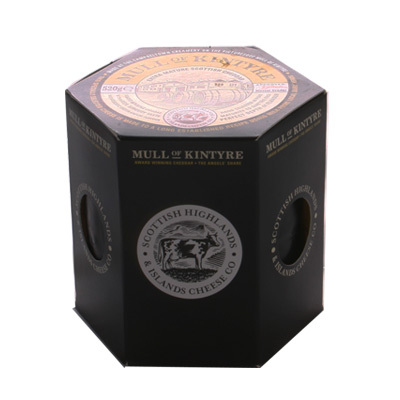 much to the delight of their many fans who up until then could not buy Mull of Kintyre Mature Cheddar outside of Campbeltown itself. What Products Do the Creamery Make? Campbeltown Creamery came about when all the dairy farmers in Kintyre formed a co-operative that would be mutually beneficial for all. 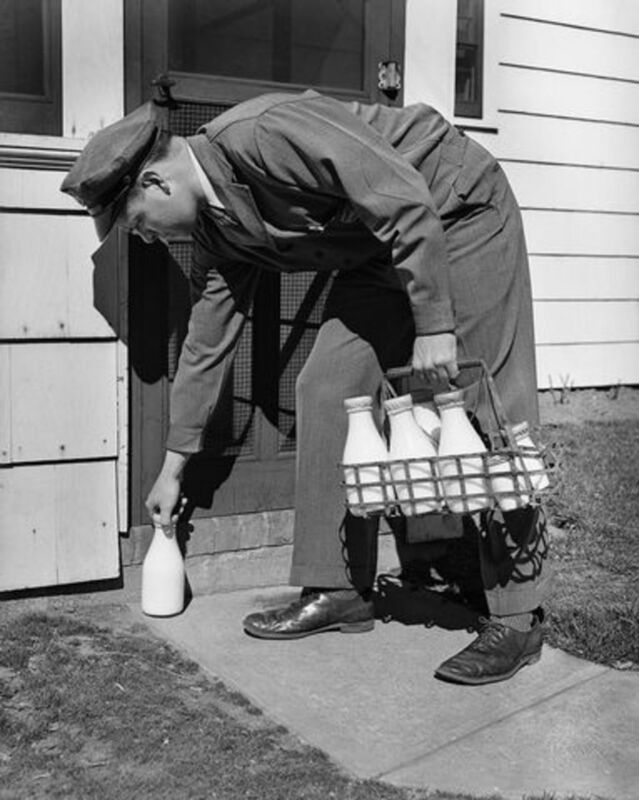 Kintyre is situated in a remote part of Scotland, and it made financial sense for them to use their milk products locally, rather than send them out of the area, only for them to be returned as finished products for use by the population of Kintyre. Over 40 local farmer are members and recently it was announced that a brand new creamery is to be built on the outskirts of town, with the help of money in the form of grants from the Scottish government. The site of the current creamery has already been sold to Tesco Stores Ltd, who will be closing their existing operation in the town and moving to their new premises after extensively changing and modernising the building. 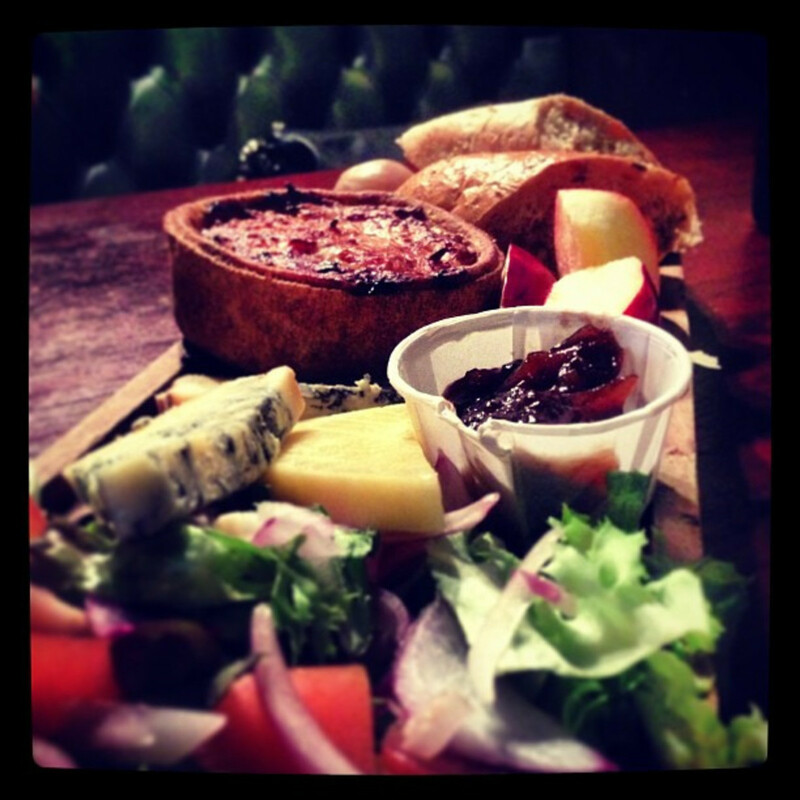 "The Mull of Kintyre Cheddar has an open, slightly crumbly texture. It can have very obvious calcium lactate crystals which may form a white film on the outside of the cheese or slightly “crunch” crystals within the cheese. Calcium lactate forms naturally within the cheese as part of the maturation process. 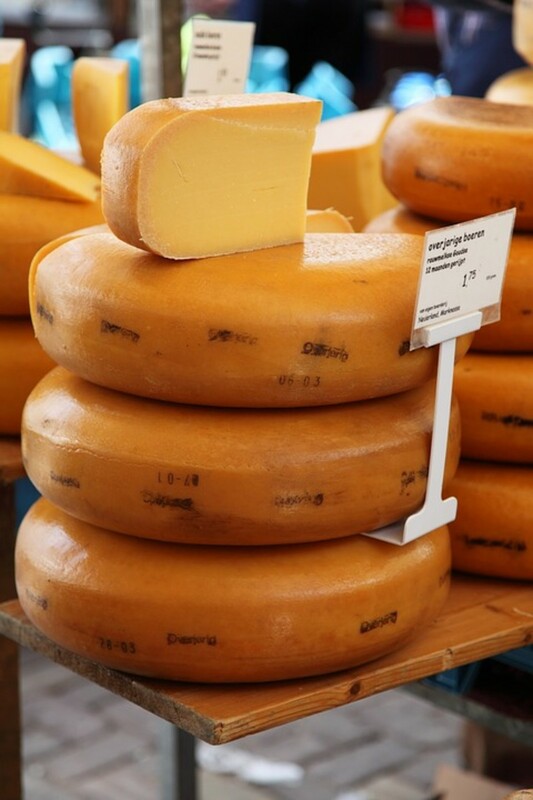 This cheddar has a rich savoury taste with sweet almost caramel notes." which must be some kind of cheese-speak that I don't understand, because I have never tasted 'crunchy' bits and I wouldn't know a "caramel note" if it jumped out and bit me! All I can say about this cheese is that it is probably the best cheese I have eaten in my life - delicious, rich, smooth, full of flavour that actually tastes like cheese (unlike some of those apologies for cheese sold on the continent) and is equally as good for cooking as it is for eating raw. 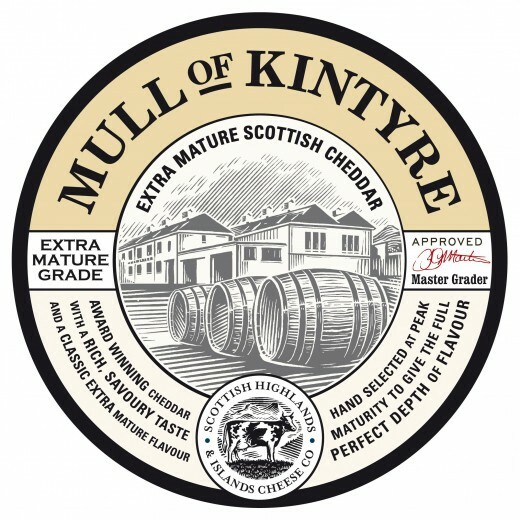 Mull of Kintyre Mature Cheddar is growing in popularity year in, year out, and is now not only sold by all Britain's leading supermarket chains - Asda, Sainsbury, Tesco etc., it is gaining international fame through repeatedly winning medals in national and international cheese fests. In 2009, it won 1 gold, 2 silver and 1 bronze award but has been winning wards for several years now. 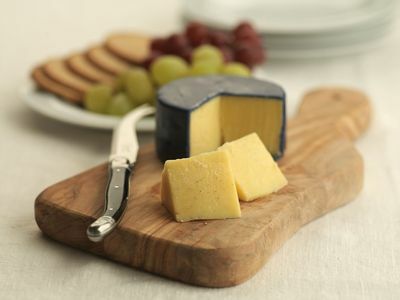 Mature (hard) cheeses have traditionally been made in Britain because of the short production season and long winter during which the cheese had to be stored allowed it to mature and become hard. The word 'cheddar' itself is named after the town of Cheddar in Somerset, England, who have a long history going back to the 16th century of making cheese. This cheese was made by cutting the curd into small pieces allowing the liquid whey to drain off, then it was packed into cylinders, covered with wax and placed inside a muslin cloth before being placed in nearby caves for a period of 3 - 12 months to mature. Since then, all mature cheeses the world over get called cheddar. Lightly grill on toasted bread - add a sliced tomato for added zing. Once opened, cheese tends to go hard if left uncovered in the fridge, and after an extended period of time go hard even when covered. It can occasionally start growing mold. If this happens to your cheese, just scrape the mold of, grate the remaining cheese and add to a dish that requires cooking. 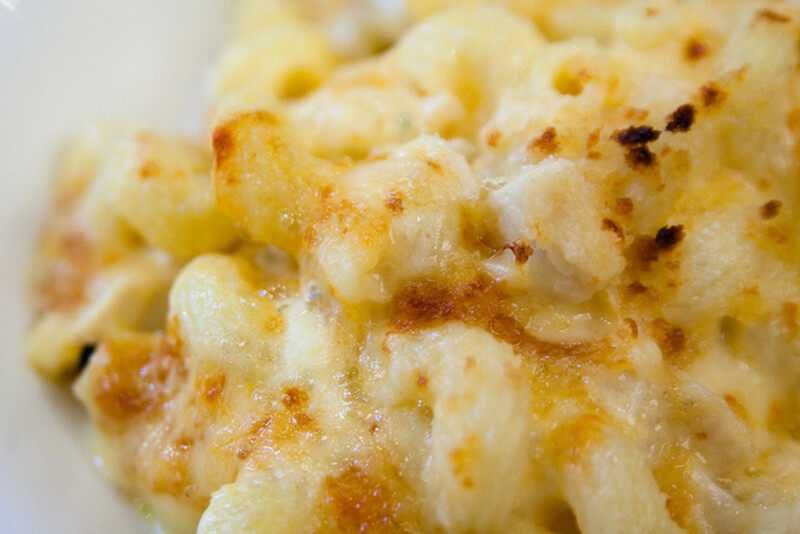 It is perfectly safe to eat but this will soften it while retaining its flavor. 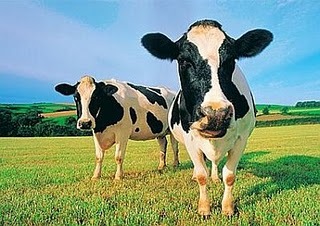 LOL, don't tell me you want to eat a big beef steak now after seeing the cows! Had one the other night, it was lovely actually :) - sorry vegetarian readers!